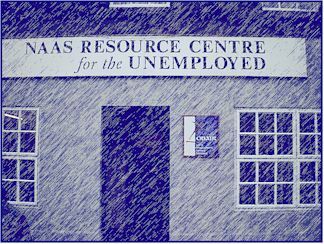 The Co. Kildare Resource Centres for the Unemployed have been established in 1986 by the Kildare Coucil Of Trade Unions in co-operation with the Unemployed job seekers in Co. Kildare and other concerned citizens. The purpose of the centres is to assist the unemployed and their dependants and promote their social, personal, and economic interests. The Centres are funded by FÁS and the ICTU and are here to help you with any queries, CV's, or job vacancies. "Le tacú a chéile tá an bua in ann dúinn"